A popular continental café and cake shop will open its doors in St George’s Shopping Centre later this month, creating 20 new jobs. 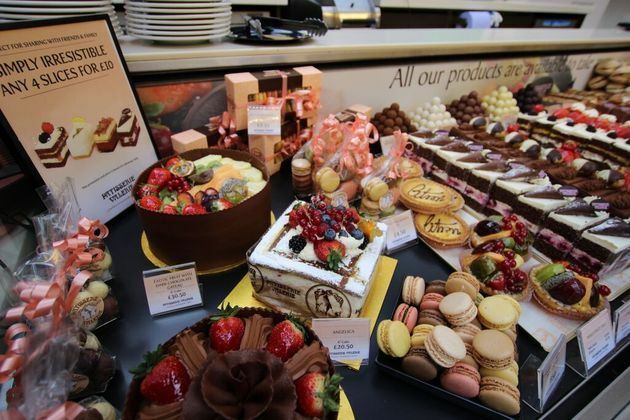 Patisserie Valerie, which was established in 1926 and now operates more than 110 cafés nationwide, will open its first Lancashire shop in the heart of Preston on October 22. The renowned national chain will move into a 2,300 sq ft unit at the centre’s Friargate entrance. The flagship Lancashire store will offer a full menu including breakfast and brunch, speciality sandwiches and light meals as well as the brands famous patisserie and cake range. Customers will also be able to order and pick up celebration cakes and wedding cakes from the store. Patisserie Valerie has plenty of fans thanks to delicious treats like Strawberry Tart, Choc Mousse, Mixed Berry Tart and Coffee Eclairs and has recently introduced afternoon tea packages to its menu. General manager of St George’s Shopping Centre, Andrew Stringer, said: “Welcoming Patisserie Valerie to St George’s demonstrates the centre’s ability to attract leading brands. Patisserie Valerie was first opened in Frith Street in London's Soho in 1926 by Belgian born Madam Valerie. She came to London on a mission to introduce fine Continental Patisserie to the English. Over the years this beautiful continental cafe has grown to bring handmade patisserie to all corners of the United Kingdom for everyone to enjoy. Paul May, CEO at Patisserie Holdings, said: “We’re really excited about opening our Preston café, especially as it’s our first to open in Lancashire. St George’s recently revealed Swarovski, the luxury jewellery and crystal retailer, will open its doors on the upper mall of the shopping centre.